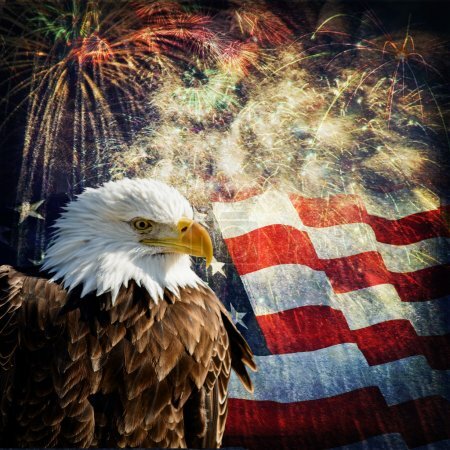 Composite photo of a Bald Eagle with a flag and fireworks in the background. Given a grunge overlay for a nice aged effect. Nice patriotic image for Independence Day, Memorial Day, Veterans Day and Presidents Day.